When my kids were in middle school, each of them began to contemplate what they wanted to be when they grew up. I wrote a blog post about the guidance I gave them on that topic (See http://wp.me/p6L8u0-45 ). The question about the major came as the kids got closer to high school graduation. I wanted to be an interior decorator or a professional dancer during my early years. Both carrier fields were far from my little girl dream of becoming a pediatrician and the electrical engineering major I chose my freshman year of college. When I was in the eighth grade, a dance teacher from a city south of Montgomery, Alabama offered me free dance lessons if my parents could get me to her studio. I couldn’t wait to tell my parents about this opportunity. I honestly believed their response would be, “Yes, when can you start?” As it turned out Mama was not so thrilled about the idea of driving out of town every Saturday to practice dancing. I think Mama and Daddy saw dance as a hobby much like my other dream of decorating. Mama and Daddy wanted me to focus my professional goal setting on more common fields of study like education, medicine, and engineering. They wanted me to select a career field that would provide a stable income and some benefits. While their opinions were sensible, there was no consideration of whether or not those career fields had any relation to the calling on my life, my passions, or the best use of my skill sets. I believed that my parents thought I was smart enough to do any of the jobs they suggested, but it seemed that they considered my passions hobbies that I could work on in my free time. I tried to keep my dream alive by joining the Tigerette dance team in junior high school and the Jadette dance squad in high school. I also found my way into a few Zumba classes over the years trying to make exercise fun. Since my parents guided me away from the more artistic fields and in the direction of the career fields more likely to guarantee a job, I decided to expose my kids to the arts. I made every effort to take them to musicals, plays, and concerts. I read to them daily book to expand their visions and books that allowed them to see people like them doing cool things. I encouraged them to play instruments, join choirs, draw, paint, take photography classes, and dance classes. 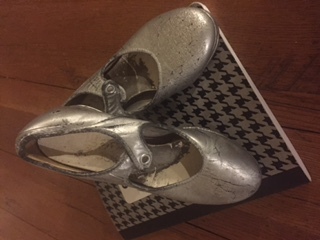 Enrolling them in dance classes brought back fond memories from my brief tenure as a ballerina and tap dancer when I was in elementary school. My son started tap classes in the third grade and loved it. 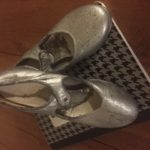 He went through several pairs of tap shoes and moved closer to being descried as a hoofer as opposed to one who performed only choreographed steps. It took a conversation with a musician friend to realize that my son heard beats in his head that inspired his percussive expressions as a dancer and percussionist in the middle school band. Imagine my excitement when I learned that my boy loved dance just like I did. I was ready to pull him from school to pursue dance. I thought I was going to be a dance mom until I learned that he enjoyed dance, but he loved school and his friends. I learned that I had to live my son’s dream along side him and not impose my dreams on my son. I almost let myself get carried away because I loved dance and he was so good at it. When he danced, he seemed to escape to some other place where he just had fun. I also took note that his reaction to dance shoes was very different from the experience I had when I introduced my daughter to dance shoes. When my daughter was in kindergarten, the small church school invited a dance teacher to come in weekly to teach ballet. Quickly, I signed her up for classes and rushed to purchase ballet shoes for her. The classes began early in the school year. Then, some time in November the school announced the recital. I talked to my girl about the dance rehearsals. I can only imagine that I did most of the talking. She was a quiet, pensive girl who likely allowed me to ramble and hype myself up with the visions of my young ballerina dancing in my head. The teacher asked us to buy pink leotards, pink stockings, and tutus for the girls. I purchased her dance outfit and began thinking about how she would wear her hair. The night of the performance came. I got to the chapel early enough to get a seat near the front and near the center aisle. In life, positioning matters. In order to get the best pictures and the best view of my girl, I had to be front and center. My heart raced as the girls walked out holding their arms in a circular shape in front of them like an imaginary basketball hoop. My excited spirit dampened a bit as I read the expression on her face. Her face said something like, “Really, Mom?! How could you force me to wear this silly outfit with this scratchy tutu? Why did you ever think I might enjoy standing up here performing this kindergarten awful ballet routine?” “Oh my,” I thought as she glared in my direction with a solemn face the entire performance. I knew that she would never be a professional dancer. I also knew at that moment that I would have to listen to her heart and wait until she could articulate her passions and her purpose. It is tempting as for parents and good villagers to interject their own purposes and passions on the kids in their communities. The temptation is to influenced the subjects the kids study and the professions the kids select in order to ensure they pick the paths that will result in a “good job.” It is better to spend time serving the role of supporter of the kids while the kids experiment with many things from the arts to the sciences in an effort to figure out what they do best and what they really love to do. I have had “good” jobs before and been completely miserable in those jobs. I have learned that I love my job because it melds the passions I have for building supporting villages for young people, helping young people dream bigger than they ever imagined, and for solving puzzles. My children taught me to have patience with them as they attempted new things and that still holds true. I work to demonstrate the same level of enthusiasm about the newest experiment or idea as I did with the last one (or two or three). I praise them when they incorporate academic principles into daily activities because that is application. I support their creative use of rap songs when they have complete conversations in song lyrics because that is a place where the arts and the analytical minds can unite. Give the children in your space the freedom to learn about themselves and the courage to use what they learn to make themselves and others better for the rest of their lives.